In the summer of 2012, a temporary job as the Editorial Director of a national parenting magazine sounded great after ten years of climbing the editorial ladder of national publications in NYC, followed by ten years of freelance writing and editing. Christina loved the fill-in job, but when they offered it to her on a permanent basis, she said no. She didn’t love the commute to NYC. However, she says, the position ignited her passion to start a new venture. Christina is no PR novice. She is part of a growing trend of journalists turned publicists, as many of the skills are compatible. In addition, she co-authored a book, Twin Set: Moms of Multiples Share Survive and Thrive Secrets (The Crown Publishing Group, 2008) and successfully helped promote it across all media platforms, both nationally and locally. 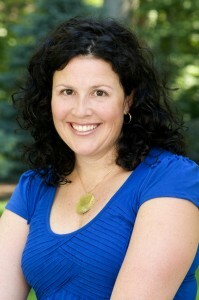 Garnering two local clients to start in January of 2013, Christina was energized and excited about her new venture. 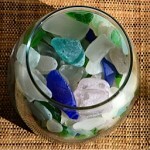 Her next step was to form a company called Sea Glass Communications LLC. Using her connections and business relationships, she has gotten great media placement for her growing client base. Her work process involves sitting with a new client to understand their goals. “We work out a wish list for increased visibility, and then I get started to make it happen.” For client, Flair Fitness Darien, Christina helped plan a grand opening party and had photographers and press people in attendance. “I also help this client with Facebook, social media, and customer communications.” Another client is A Little Something White Bridal Couture. Christina is working to make this high-end shop the go-to place for white dresses in a 100-mile radius and hopes to get the salon press in national magazines such as Martha Stewart Weddings and The Knot. And Christina feels she can grow her business as her kids grow. Her aim is to highlight a client in the media to show the world their passion about what they do. “My value-add is in crafting a client’s story to help them attract sales and grow their brand.” Plus, since she has worked in both national and local media, she understands what editors and reporters are looking for in a story. If a full time job working for someone else if not right for you now, create your own venture in the same field.